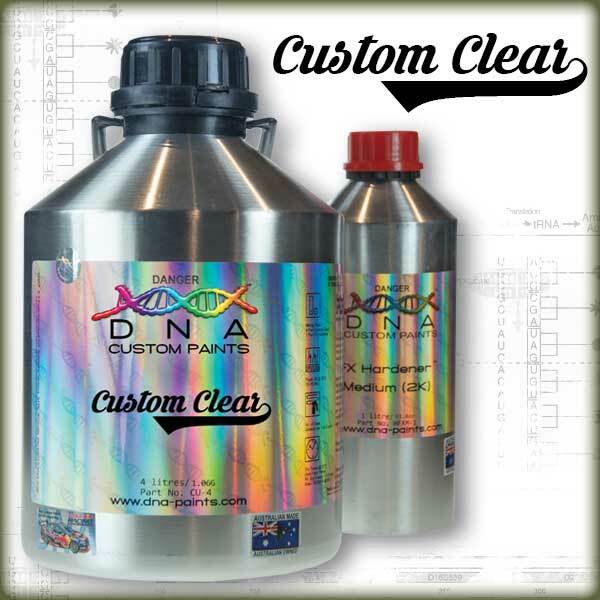 DNA™ Custom Clear™ is a unique 2K clearcoat designed for the varied demands and processes used in custom painting today. Custom Clear™ is a low viscosity (13 seconds) high performance clear, ideal for FLOW COATING, SEALING and LAYERING of candies, flakes and general clear coating. Custom Clear™ is designed to give a perfect flat finish with maximum gloss and drying performance. 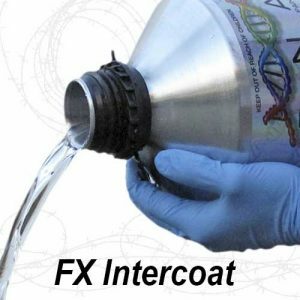 Glass like finishes off the gun are made much easier with this high performance clear coat! 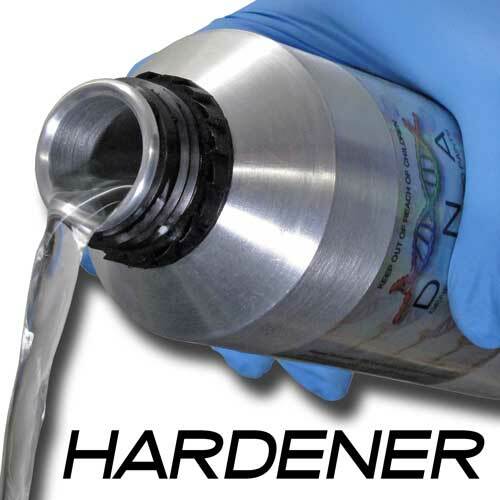 Custom Clear™ Kits can be ordered with your DNA™ FX Hardener™ speed of choice. Slow, Medium & Fast are available to suit almost any application requirement. 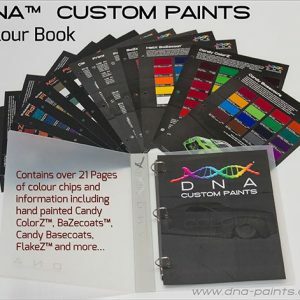 Custom Clear™ can also be used with DNA™ candy concentrates to create an easy to use 2K urethane candy finishes that can be applied over a suitable DNA™ basecoat. Custom Clear™ has a mixing ratio of 4:1 with FX Hardener, no reducer required & is normally applied in 2 to 3 coats. Used in colder conditions to speed up Flash-Off times. Used to slow down flash-off times and increase levelling times also used in hot conditions or for larger jobs. Printing mixing cups with all of the mixing ratios for the complete range of DNA Custom Paints as well as other popular mixing ratios. Easy-to-read and easy-to-use. Copyright © 2005-2018 Vincent River Pty Ltd. All rights reserved. The trademarks used herein are either trademarks or registered trademarks in Australia and/or other countries and owned or used under licence by Vincent River Pty Ltd. All prices in AUD$, All International orders are less 10% when gst removed. It is the buyers responsibility to pay any applicable import duties or taxes that your government or country may have.